Recently named in Today's Golfer Magazine as one of the top 100 golf courses in the UK to play for under £40.00, Hoebridge Golf Centre is one of the most popular pay and play Centres in the UK. The facilities are extensive with the main championship course designed by former Ryder Cup Captain John Jacobs kept in fabulous condition with guaranteed no temporary greens or tees all year round. Other facilities include the equally maintained 9-hole par 3 and 4, 18 hole par 3, 36 bay flood lit driving bay refurbished in 2008, fully equipped Golf Shop, Teaching Academy, Custom Fit suite, Bar and restaurant, function rooms and Health Club. 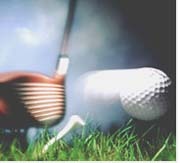 Hoebridge Golf Centre is Open to the general public seven days a week.